A Cumbrian golf course situated in a splendid location between the delights of the Eden Valley and the majesty of the Lake District. The Lakeland fells provide a magnificent backdrop to this par 69 course formed in 1890. Located high above the lovely town of Penrith, this moorland course offers a worthy challenge to any visiting golfer. A clear day will have the added advantage of providing some of the finest views of the mountains of the Northern Lake District. Penrith is an ideal location for a Cumbria based golfing holiday offering plenty of good quality accommodation. 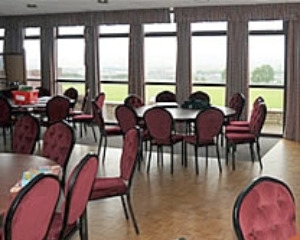 Clubhouse Facilities: •Meeting room available. •Separate dining room, which can be reserved for private functions, or used by golf parties.